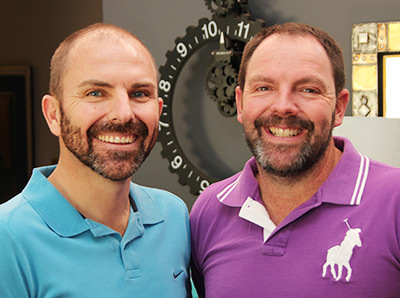 Enjoy your stay at 224 on Carinus B&B with Johan and Rudolph as your hosts. With Johan's background in the Tourism and Hospitality Industry it quickly started with a one self-catering unit and soon realized that the demand for a bed & breakfast accommodation is far more in demand than 2 roomed self-catering unit. Towards the end of 2013 we changed one of the bedrooms in the main house in to a guest room with en-suite facility and the 2 room self-catering unit into 2 separate guest rooms with their own en-suite facilities, thus the start of 224 Carinus bed & breakfast. Tourism grading followed and the rest is history. Sustainable tourism is the concept of visiting a place as a tourist and trying to make only a positive impact on the environment, society and economy. Tourism can involve primary transportation to the general location, local transportation, accommodations, entertainment, recreation, -nourishment and shopping. Your hosts, Rudolph and Johan, stand ready to welcome you into their beautiful home.